Nigerian Musician, Reggae dance hall singer and songwriter. Burna Boy had his primary education at montessori international school before moving to lagos, he thereafter also attended Corona, Agbara secondary school after which he left for the UK. It is worthy to note that Burna Boy’s grandfather, Benson Idons used to be Fela Anikulapo Kuti's manager, So, its no wonder his early influences to music. Burna boy has a couple of hit songs including "trumpet" featuring Davido. The song that shot him to limelight was "Abeg Abeg Abeg" before his big hit. ''like to party" which had an amazing video directed by "adasa square ball media". Burna Boy is a splendid vocalist and he oozes versatility as his unique sound blends Dance-hall, Afrobeat, R&B and Hip-Hop into one tightly knit package. His songs navigates from ballads full of depth to controversial subject matters. as well as, songs that are just meant to get you in the mood for the groove. He has featured other big weights in the Music industry like Davido, D’banj, Wizkid, Tuface, Sarkodie etc. 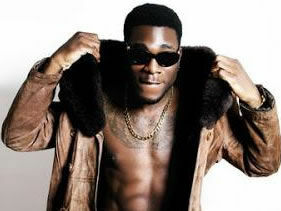 In 31 May 2012, Burna Boy released a single titled "Like To Party" which saw his rise to prominence. On 5 September 2012, the video for "Like to Party" was released. The music video was shot by Squareball Media services. In 24 September 2012, Burna Boy released a single titled "Tonight. On 31 December 2012, he released the video for the song. In the music video, Burna Boy expresses his innate feelings. Having created such a buzz in the industry, Burna Boy headlined his own Industry Nite in the year 2012 and performed in a large catalogue of massive concerts, from – Rhythm Unplugged, the New Edition concert in Port Harcourt; CarniRiv and Calabar Carnival, to – his own Burna Boy Live in Port Harcourt. Currently, his debut album “L.I.F.E.” which stands for “leaving an impact for eternity”. is in stores, iTunes and Amazon. Burna boy has won some awards and received some nominations. For example, in 2013, at the Nigeria Entertainment Awards, he won the Best New Act of the year., then he was nominated at the 2013 Headies Awards, the South South Music Awards for best Pop. Again in 2014, he got nominations at the MTV Africa Music Awards for the best new acts, and at the Nigeria Entertainment Awards, he got nominated for the best album of the year for his debut album, L.I.F.E, Leaving an impact for Eternity.